Step One: Cream butter, sugar, egg and vanilla together until smooth in one large bowl. In another bowl, combine flour, bicarb, cinnamon and salt together until mixed. Combine the dry ingredients with the wet ingredients and stir until they just form a smooth dough, but don’t overmix. Add the oats and the raisins and stir until combined. Place in the fridge for around half an hour. Step Two: Preheat oven to 170C and line two baking trays with parchment/baking paper, grab a chunk of the dough and roll it into a medium sized ball, about a tbsp size. Place each ball a few inches apart, they don’t spread too much but give them space. They should take around 12minutes to bake, but up to 15 depending on size etc. Leave to cook on the tray for five minutes before moving to a cooling rack. 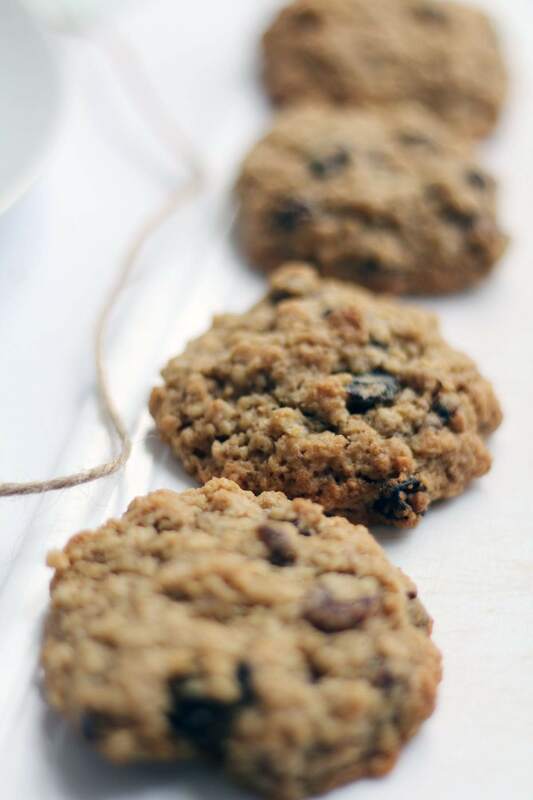 There you have it, super easy and super quick oatmeal raisin cookies! They’re chunky, chewy and delicious, I promise. Plus you almost feel kinda healthy because it has oats in it… Let me know if you bake these or any of my other recipes!